For the past 6 weeks, I have been meeting with a wonderful group of families and children ages 5-12, to explore and practice how to help our children engage in corporate prayer events. It has been an amazing time often spontaneously led by the Lord, as families have shared precious gems of wisdom with one another. We have prayed over each other and over individual families. We’ve done intercession and thanksgiving prayer together. 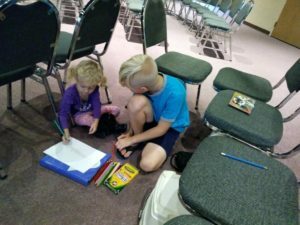 Children have shared how they do their Bible homework in creative ways. Some children have begun to hear from the Lord for the first time ever! We’ve practiced Kirk Bennett’s method of engaging with a specific Bible verse:”RWSSP” – Read it- Write it – Say it – Sing it – Pray it. We also learned from one of our amazing dads who teaches adults at IHOP-KC. Bret Englekes and his 7 year old son demonstrated for us how to: “Repeat, Rephrase and Reference” a Bible verse. 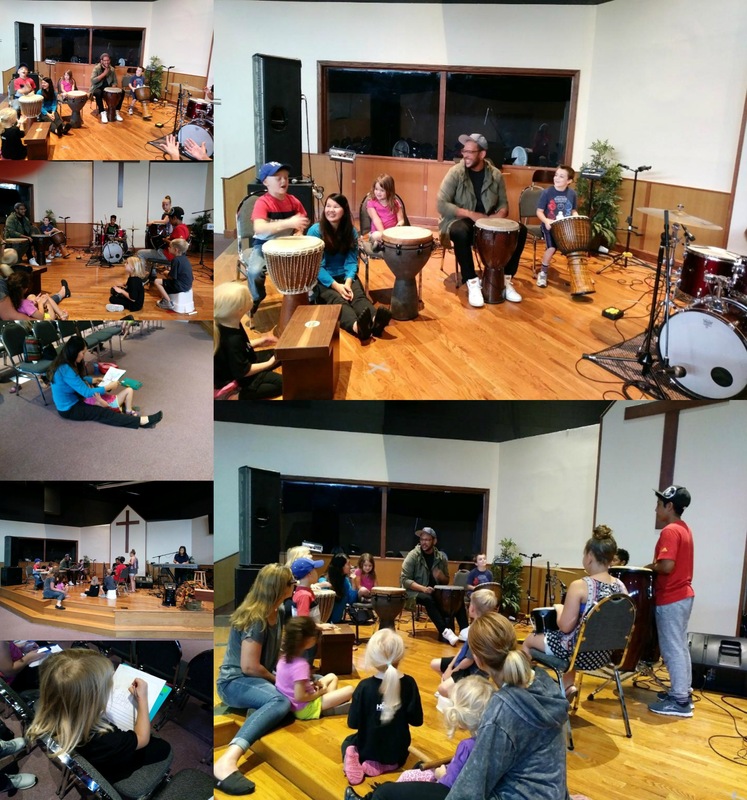 We had such fun when another of our talented dads, Jared Logan, did a worship and rhythm workshop, again with a multi-generational group of children, aged 5-12! 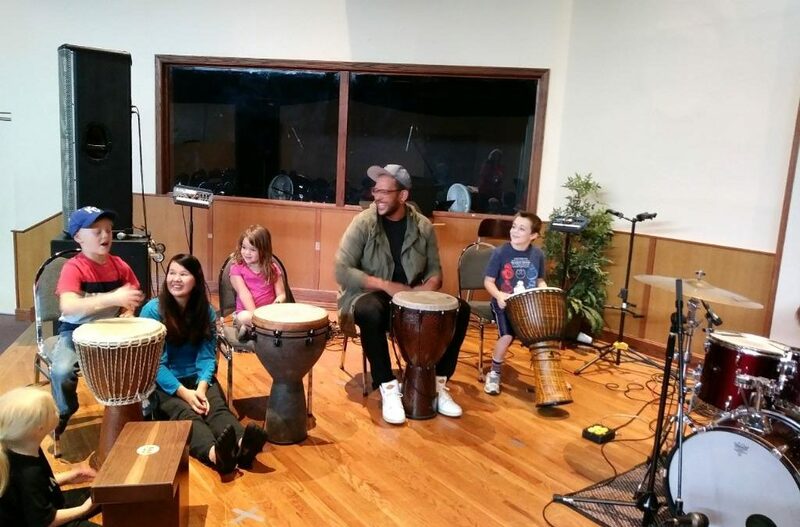 Within 10 minutes Mr. Logan had 15 students, ALL playing in unison and making beautiful music, on everything from djembes to buckets to rhythm sticks to a real drum set! We want to make special mention of two of our High school students, K & T, who faithfully served every Friday morning, leading devotional and intercessory worship, and who eloquently shared how they grew from working with parents to doing their Bible meditation homework independently. to Hear from God, Scheduling Your Time With Your Child, Breaks and De-Briefing.